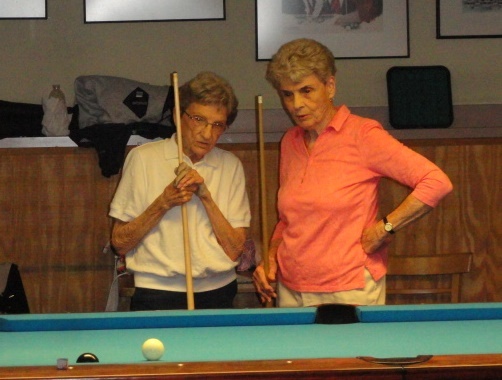 Senior athletes get their game on! 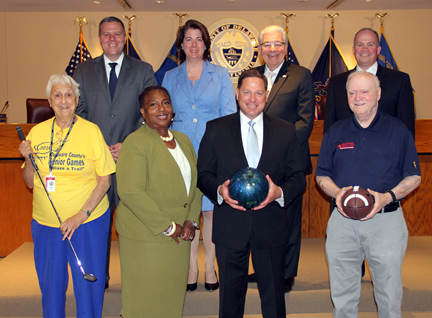 Barbara Percival, left, an 84-year-old athlete from Essington, and Daniel Martelli, a 77-year-old golfer from Springfield, right, helped Delaware County Council announce the 2016 Senior Games that start June 13. 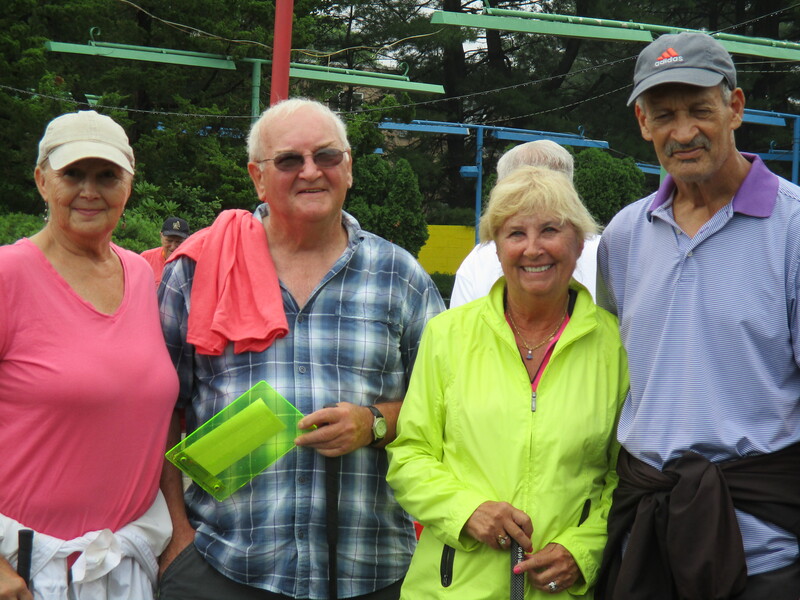 They are shown with, from left, Denise Stewart, Director of the County Office of Services for the Aging, Councilman Dave White and back row, Council members Mike Culp, Vice Chair Colleen Morrone, Chairman Mario Civera Jr. and John McBlain. 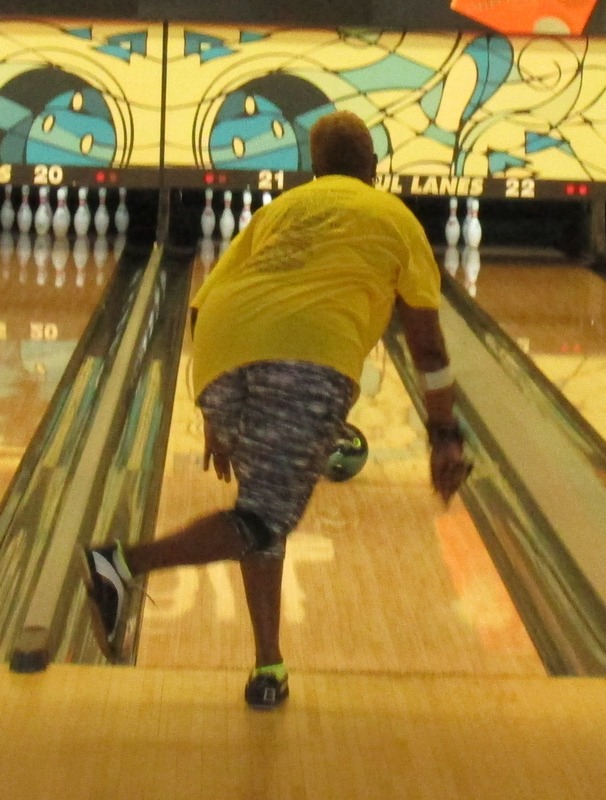 Never too old to go for the gold! 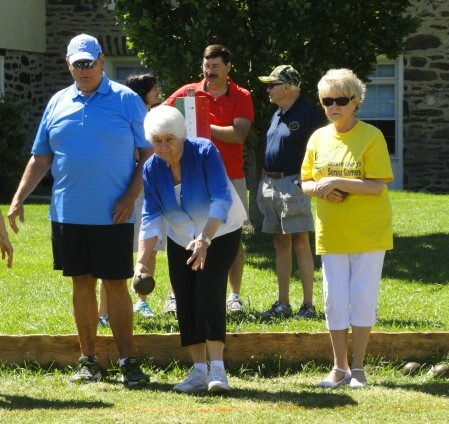 Barbara Percival, 84, of Essington, will vigorously compete on the bocce court at Rose Tree Park. 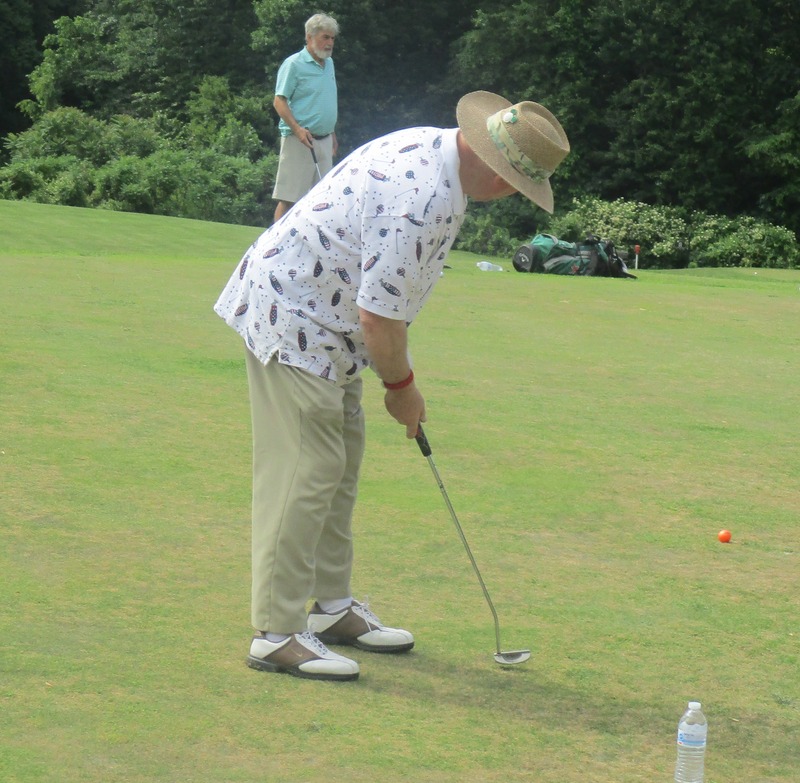 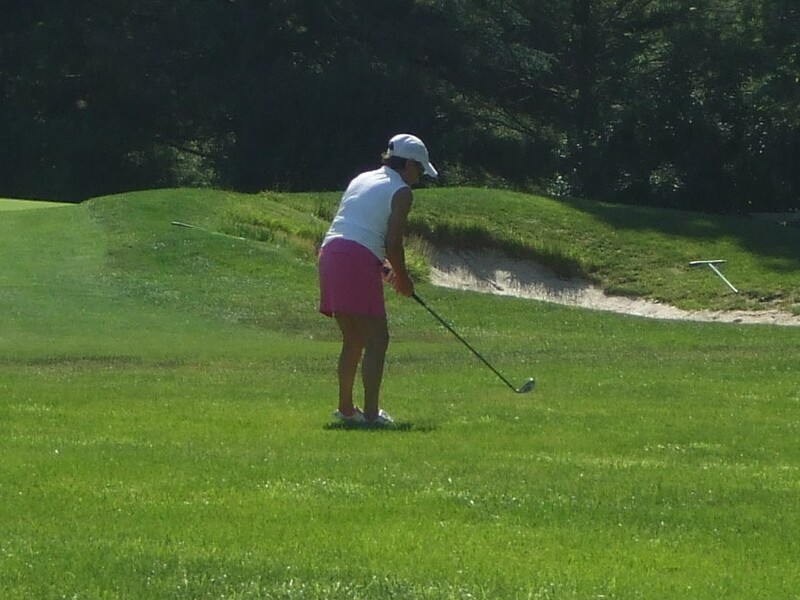 Daniel Martelli, 77, of Springfield, will robustly play 18 holes of golf at Paxon Hollow. 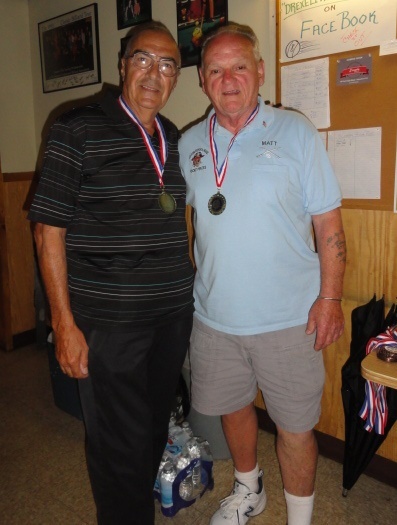 Percival and Martelli will join over 600 senior athletes competing for medals in the 2016 Delaware County Senior Games that open June 13. 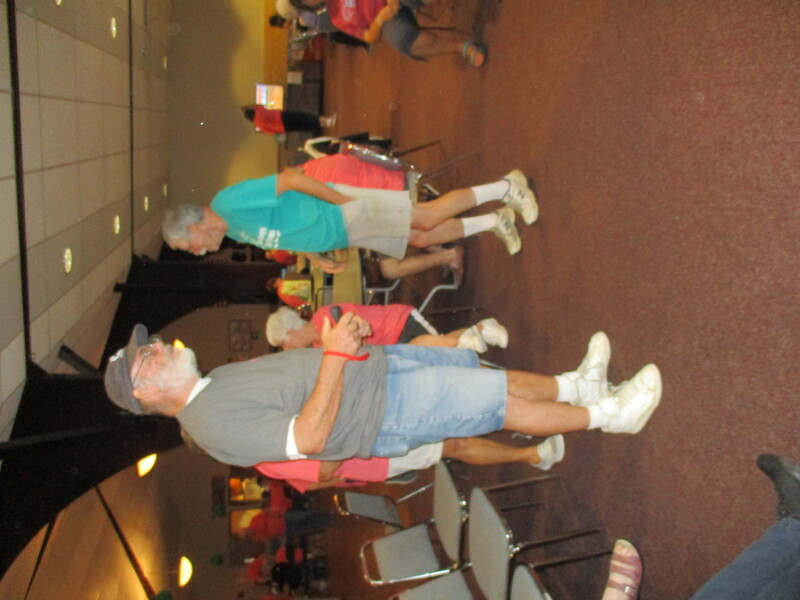 The two senior athletes came to the May 25 County Council meeting to tout the games and encourage others to come out and compete, cheer or volunteer. 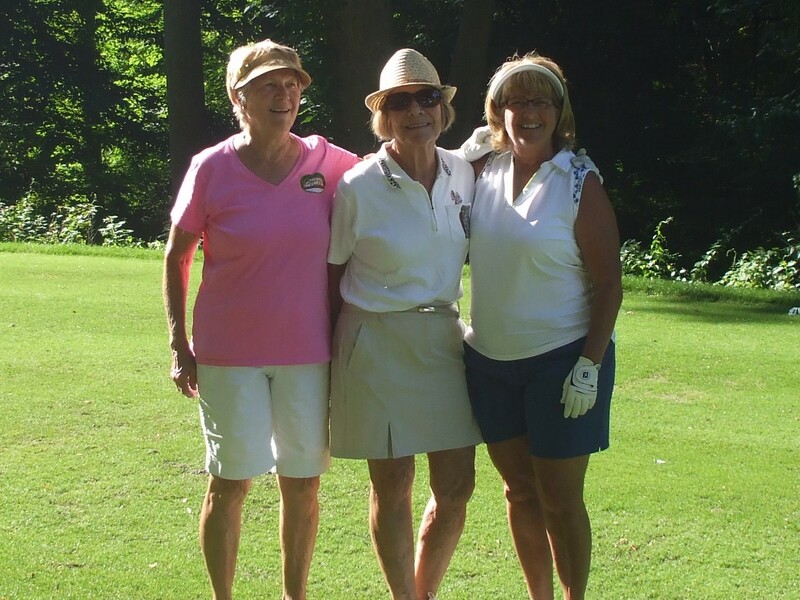 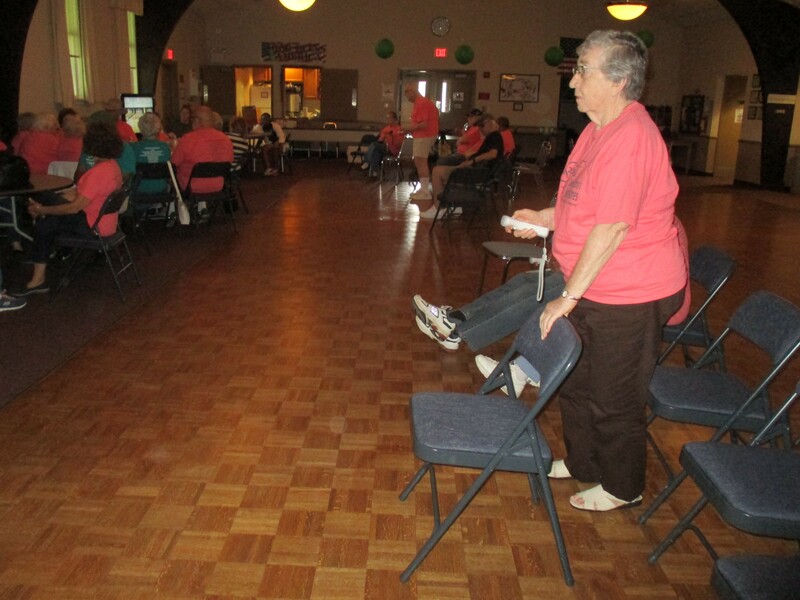 "In our county, we are fortunate to have a large and very active senior citizen population. 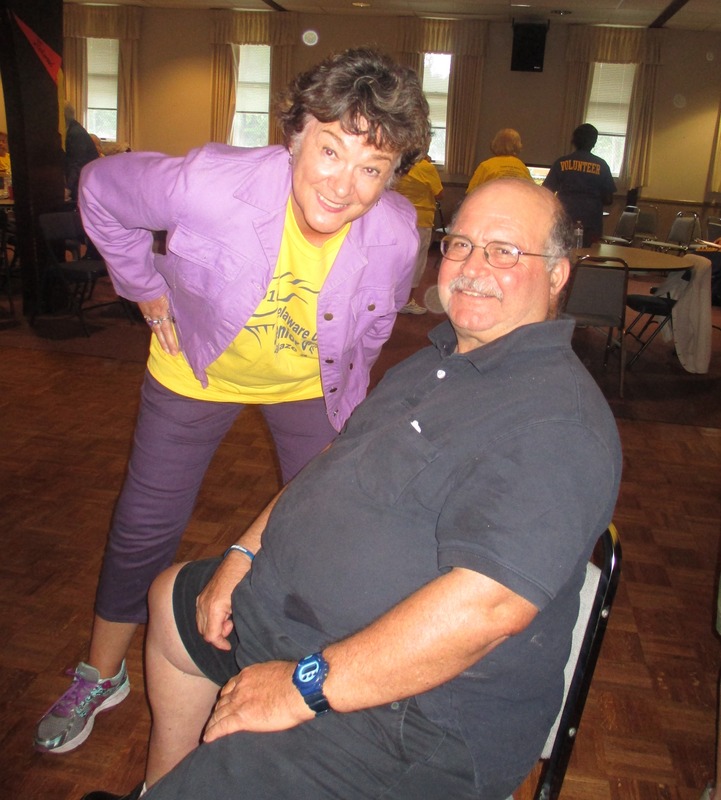 Starting on June 13, we will witness our seniors competing in Olympic-style competition as part of the Delaware County Senior Games," said Councilman Dave White. 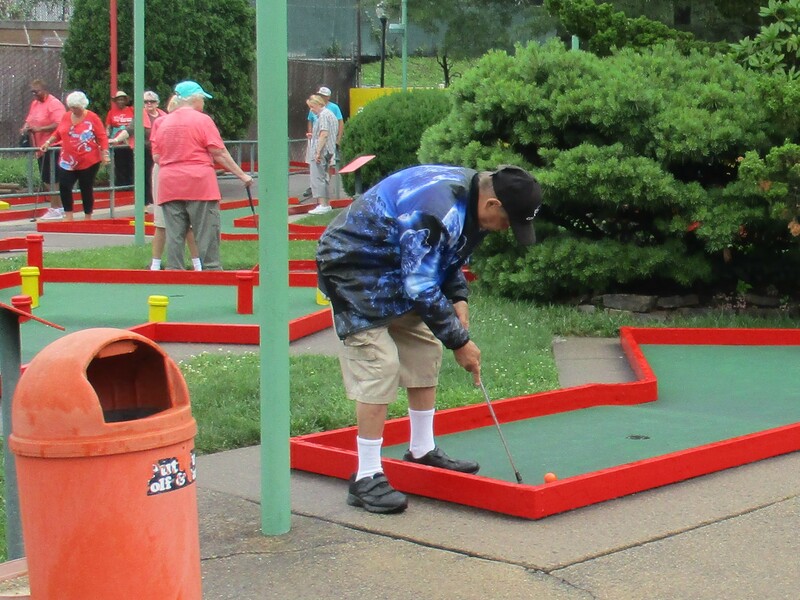 "People can still register. 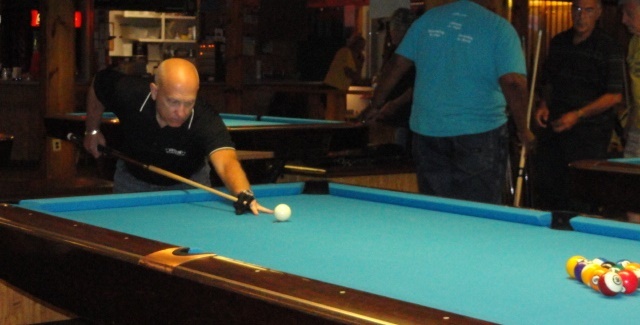 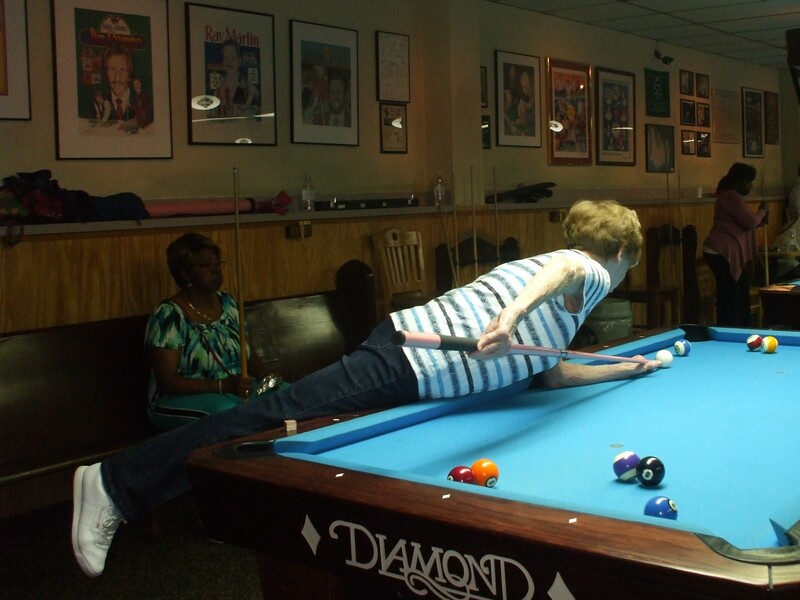 You just need to be 50 years or older and want to compete and have fun." 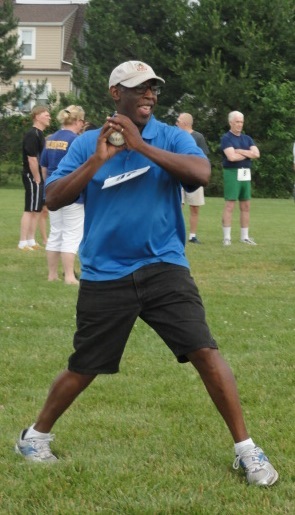 Registration forms are available on the Senior Games website at www.delcoseniorgames.org. 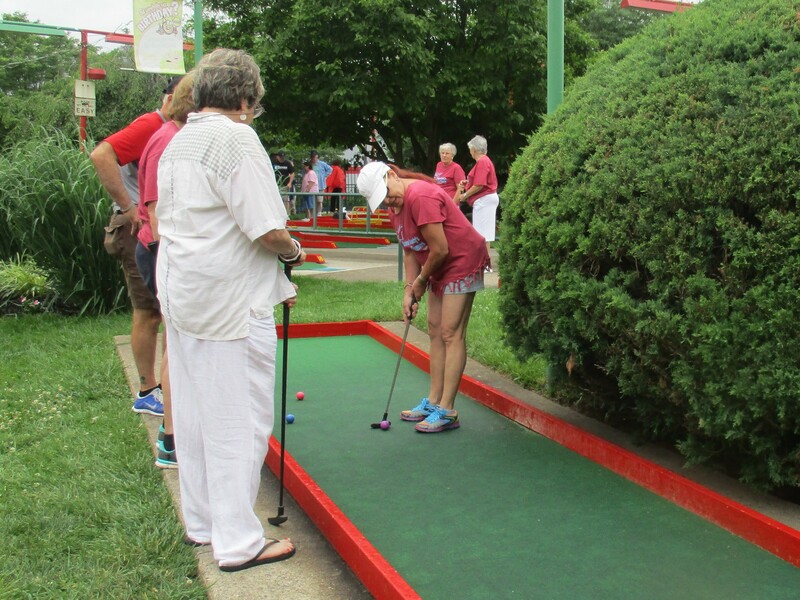 For 26 years, Delaware County athletes 50 and older have been hitting the track, the golf course and other sports venues with one goal in mind. 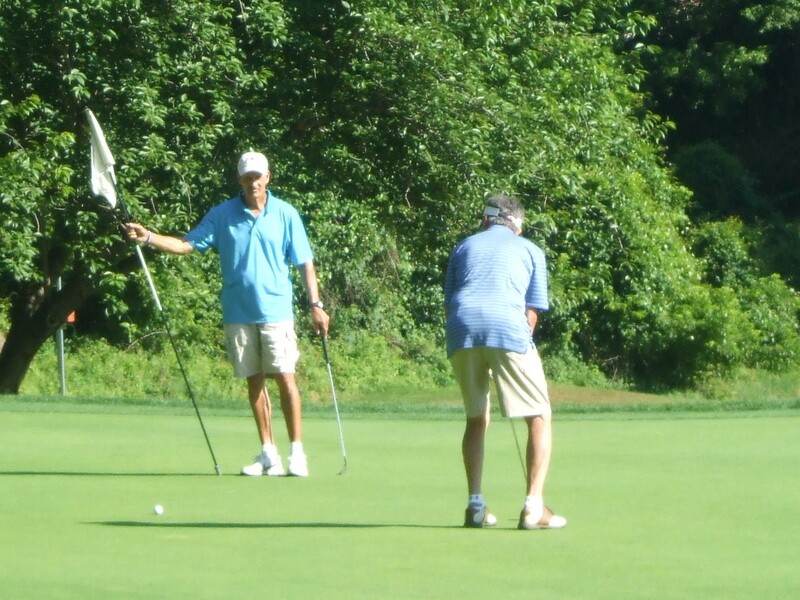 A gold medal. 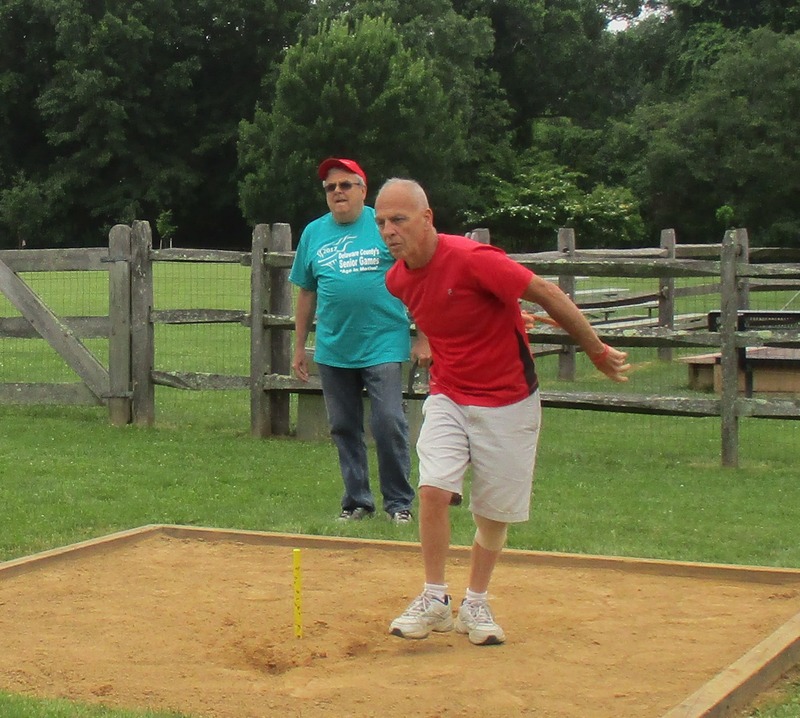 From June 13-24, senior athletes will compete for gold, silver or bronze in bocce, shuffleboard, bowling, golf, billiards, pickleball, horseshoes and track & field. 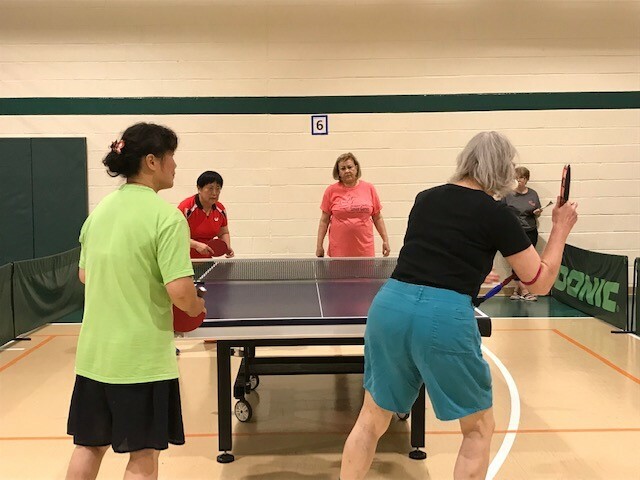 "It’s appropriate that we announce the Senior Games today because May 25 is National Senior Health and Fitness Day," White said. 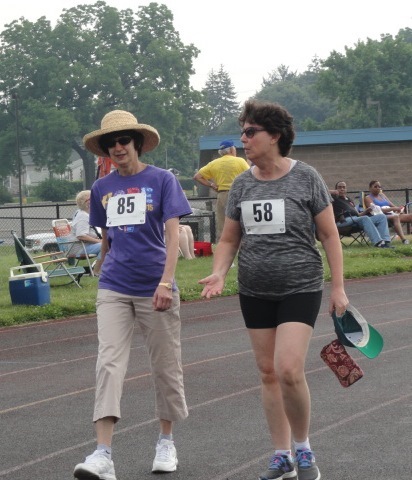 "The Senior Games give new meaning to the term ‘personal best.’ It’s not about the peak time or longest distance. 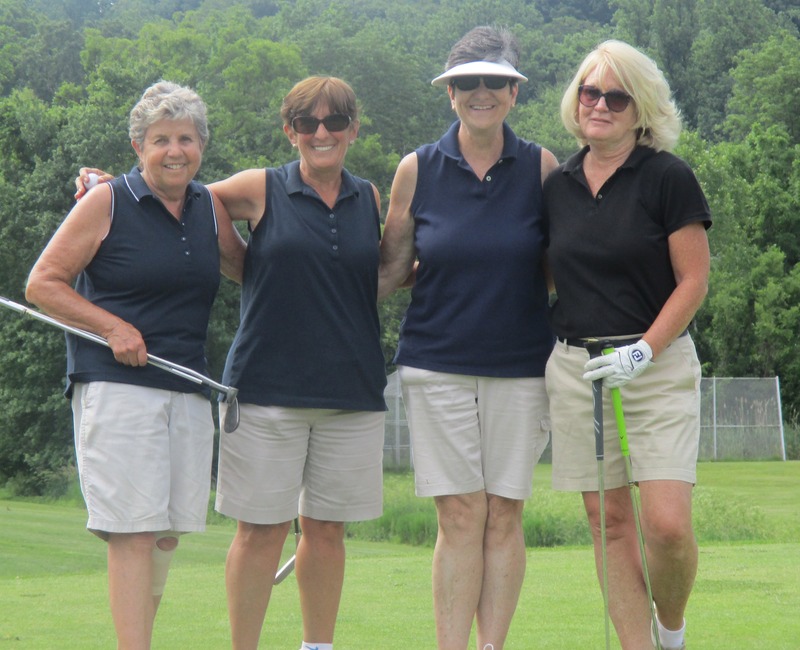 Instead, it’s about friendship, overcoming obstacles, meeting challenges and staying motivated to keep physically and mentally fit." 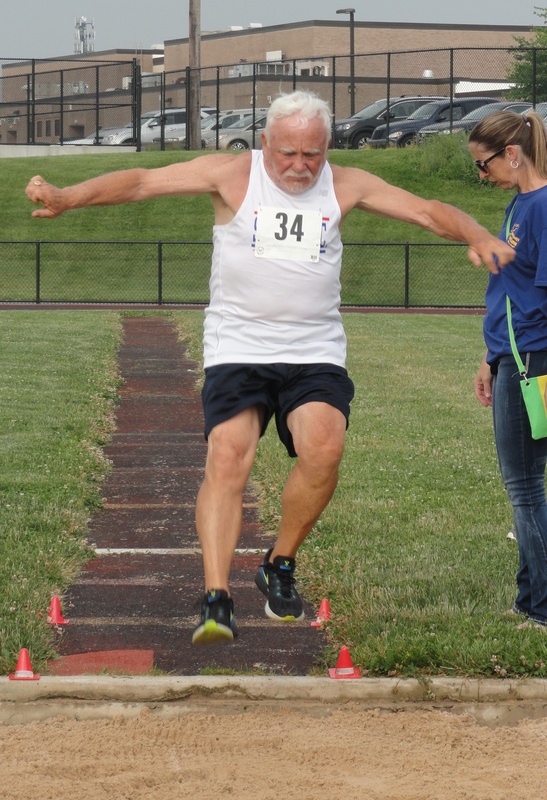 In 2015, 625 athletes participated. 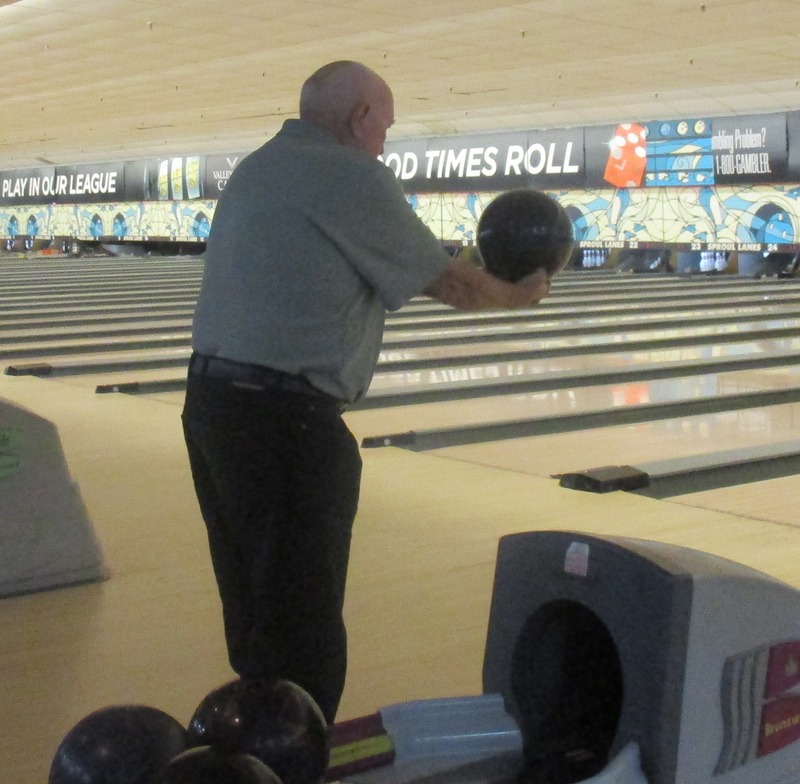 The oldest was a 99-year-old bowler named Sye Brandman, who is expected back again in June. 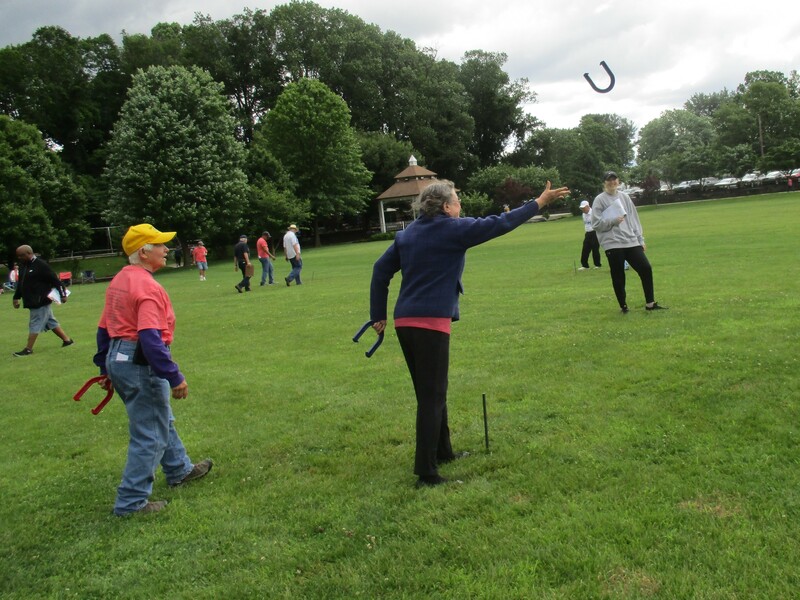 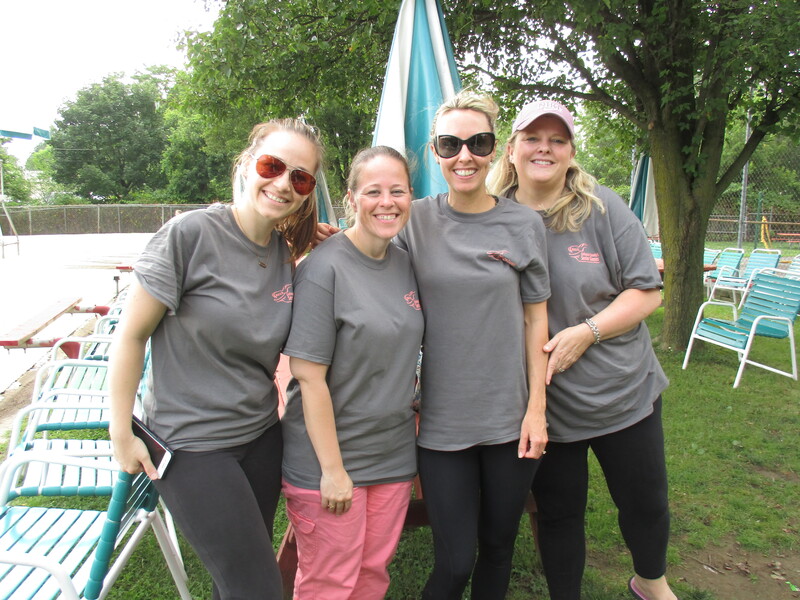 The Senior Games are organized by three groups: the County Office of Services for the Aging (COSA), the Department of Parks and Recreation and the Destination Delco Visitors Bureau. 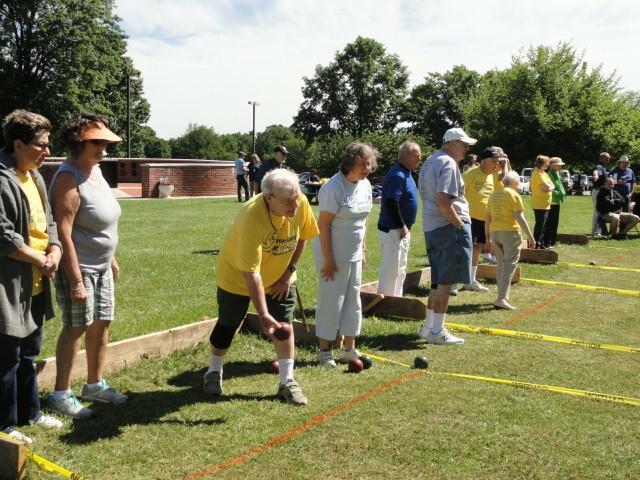 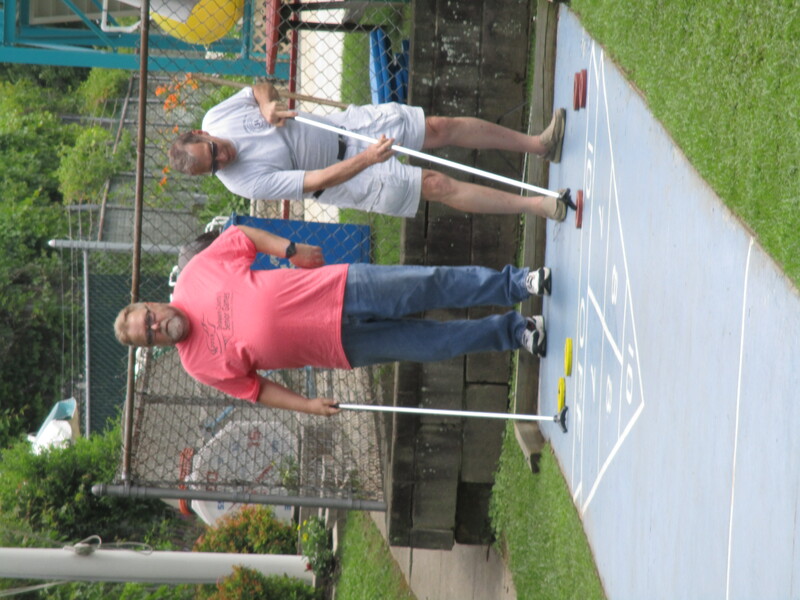 The Games kick off at 10 a.m. June 13 with a Bocce competition on a court set up at Rose Tree Park. 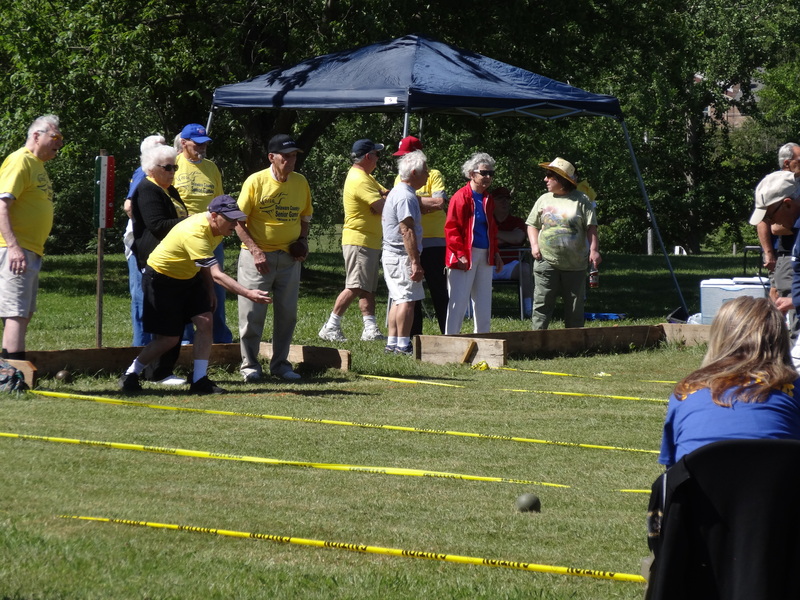 Bocce was introduced as an exhibition event last year and is now part of the Games. 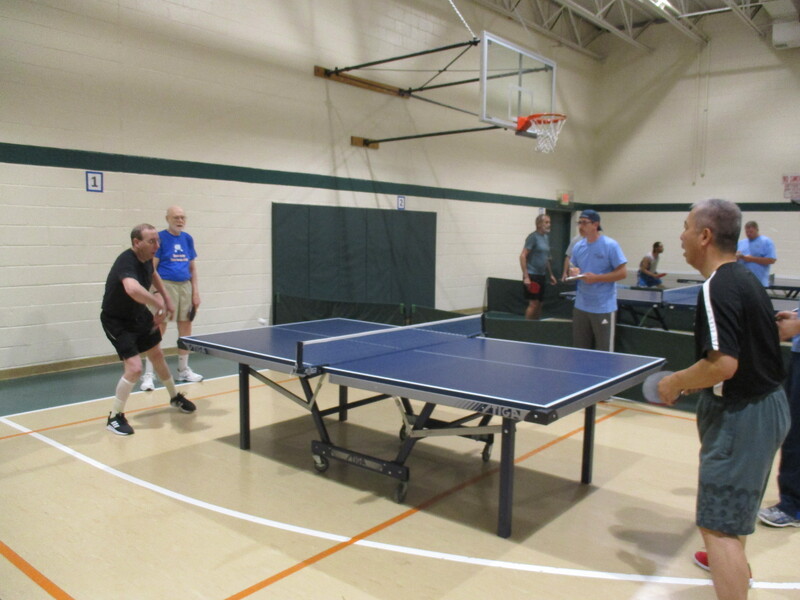 Due to popularity, Pickleball was expanded to two days, June 20 and 21. 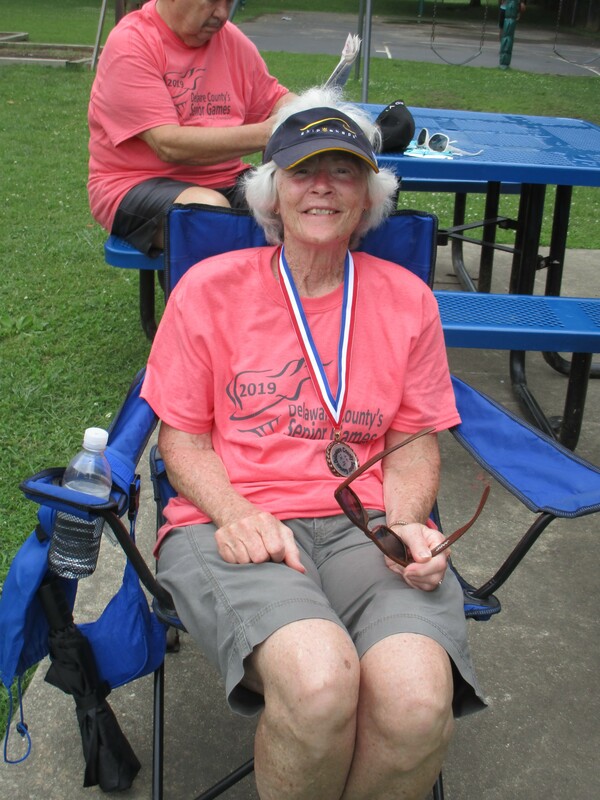 Registration for the Games is $15 and includes a Senior Games T-shirt. 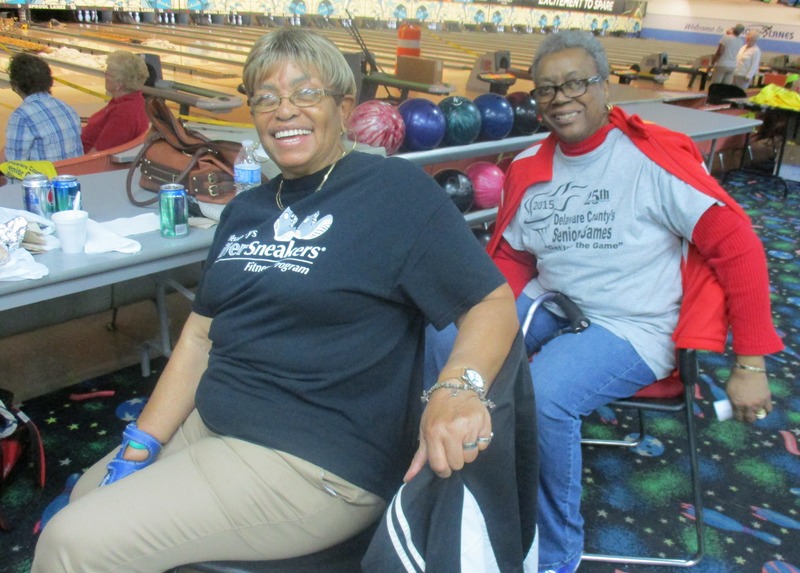 Pre-registration is required for all games, and participants should see the registration form for additional information regarding bowling and golf. 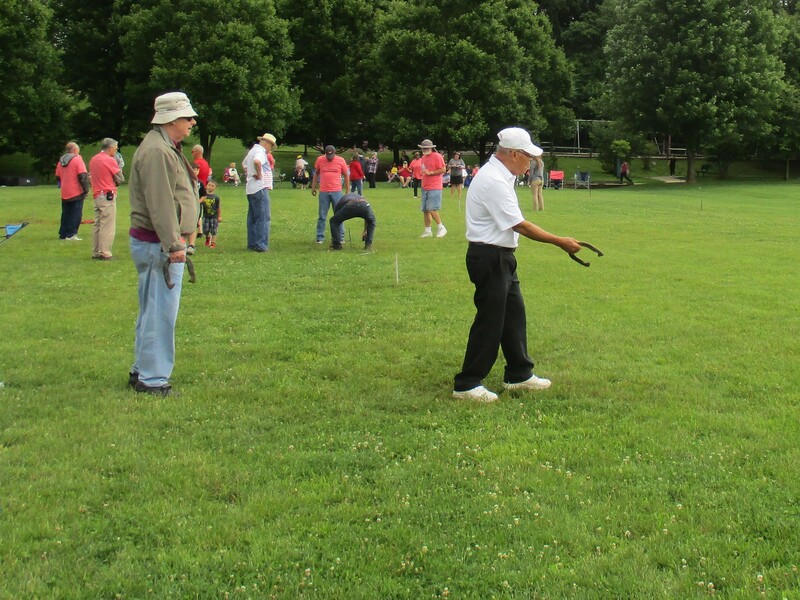 Registration forms are available online, at local senior centers, libraries and at the office of the Department of Parks and Recreation.